Coral India Finance and Housing Limited is one of the Housing Development Company in India with two segments viz. Finance & Construction. 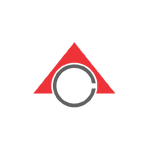 Coral India Finance and Housing Limited is a public listed Housing Development company in India with shares traded on the BSE & NSE Stock Exchanges. Coral India Finance and Housing Limited group has developed projects spread across commercial complexes, residential developments. It has several ongoing projects. Each project bears a stamp of thoughtful solutions and highest quality. The company has specialists from India working on various aspects including design, landscaping, engineering and structural strength of each of the developments. The Company was incorporated on 4th Day of January, 1995 with the name of "Coral India Finance and Housing Limited.". The Company was incorporated with the objects to provide all types of Financial Services including bill discounting, Raising & placement of funds, placement of securities, advising on investments of funds, financial consultants, project counseling& advisory services etc., and to carry on business as Builders, Developers, Contractors for all types of Construction work, including land and property development and Real estate dealers.